My Dad was 18 years old when he arrived at Hickam Air Field in early 1944. 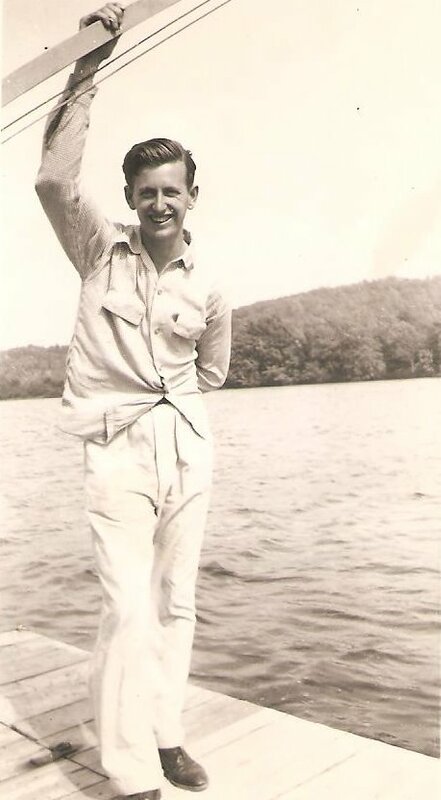 Dad was now part of the great Seventh Army Air Corps. At that point in time, there was no telling how much longer the war with Japan would go on. Hickam Air Field would change my Dad’s perspective on life. In many ways, it gave him the opportunity, to come to know first hand the terrible evil that man can evoke upon man. 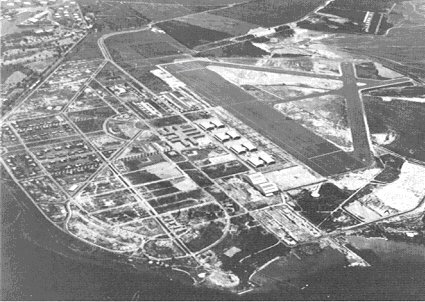 A rare aerial view of Hickam Air Field, taken during the time of World War II. Hickam Air Field had been hit during the Japanese air attack of December seventh of 1941. Hickam Air Field is adjoined with Pearl Harbor. The Japanese did not want the United States Army Air Corps to follow their planes back to Japan, after their attack. So, they hit Hickam hard and mean, destroying scores of American fighter planes and bomber planes. A photo of the back of a B-25 Bomber Plane at Hickam Air Field, during the time of World War II. 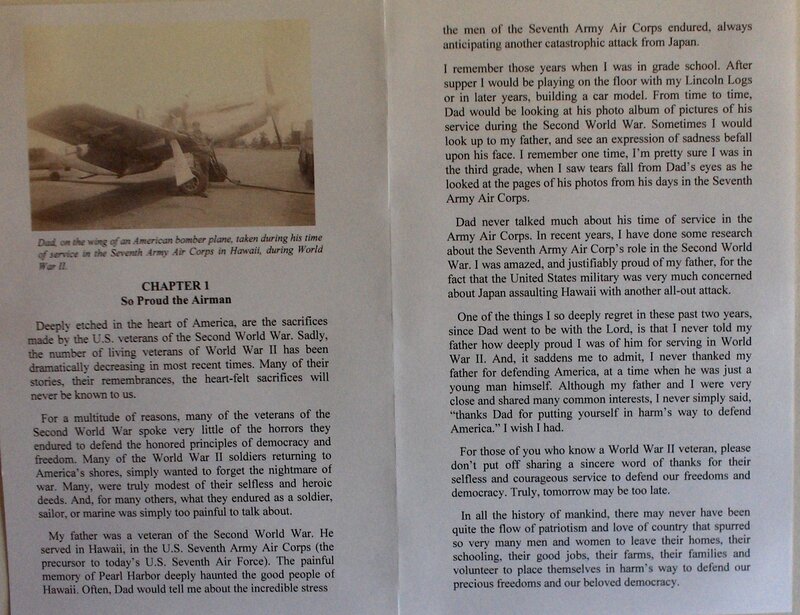 In my book, “I Remember Dad,” I’ve written over 80 typed pages about Dad’s stay at Hickam Air Field. I know that it was unnerving for Dad. Mainly because there were a lot of rumors, at the time, that the Japanese were planning to attack Pearl Harbor and Hickam Air Field again. Dad once told me that he and his fellow service men were always on full alert for another surprise attack to take place. 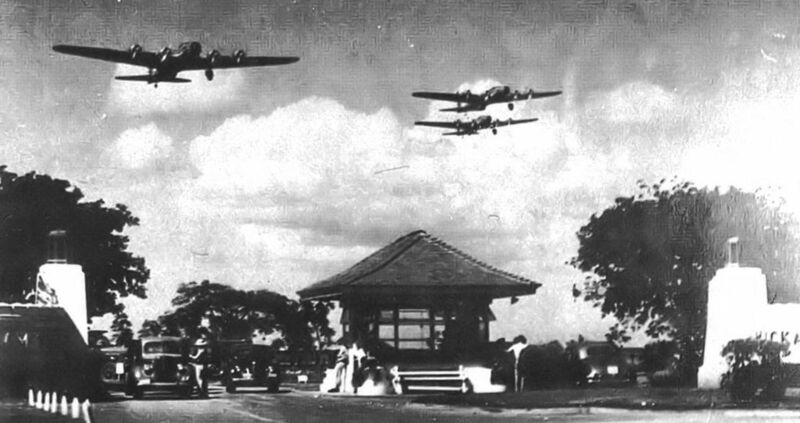 A photo of how the main entrance way to Hickam Air Field looked during World War II. One of the things, that I have thought about a lot, in writing this particular chapter of my book, is how it must have been for Dad to fall asleep at night, each and every night, knowing that there could very well be another air strike that might take place in the midst of the night. 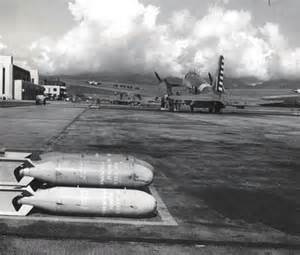 My Dad said that things were very tense at Hickam Air Field, during the war. There was an unspoken uneasy feeling that was felt by both, the enlisted men and the officers at Hickam Air Field. 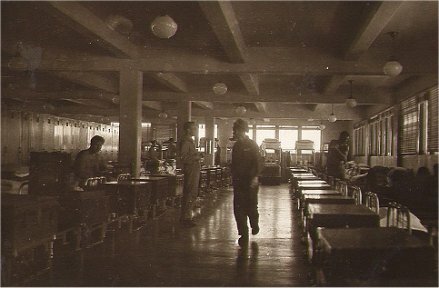 A photo showing the inside of the barracks of Hickam Air Field during World War II. In writing this chapter of “I Remember Dad,” I thought it important to put emphasis upon what Dad endured during his time at Hickam Air Field. Now, with over 80 pages written, I realize that I have to cut a lot out. I worked on it a lot today. Still, it is so very difficult to decide what stays and what goes. Not easy at all. Another rare photo of Hickam Air Field, taken during World War II. 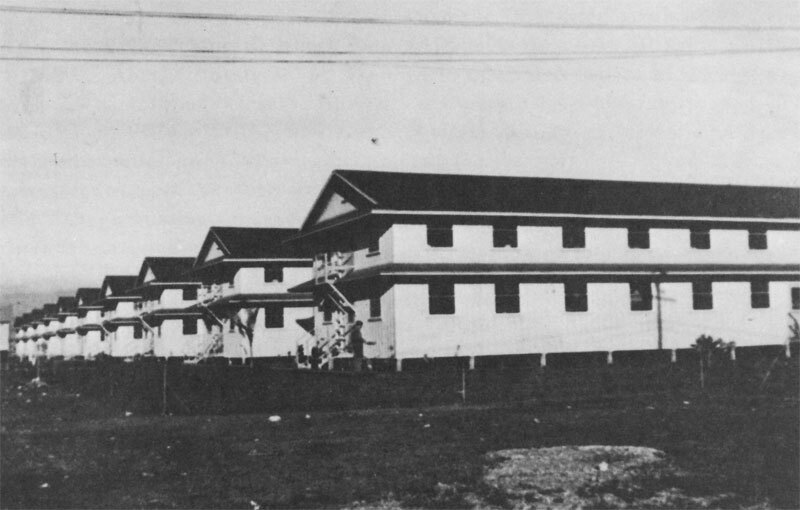 This photo shows the outside of one of the barracks. In many ways, I wish I had the luxury to publish an entire book just about Dad’s time at Hickam Air Field, during World War II. But, alas, that is just not possible. So, I drudge on, doing my best to decide what to cut and what to keep for “I Remember Dad.” I never had any idea that the process of getting a book published was so incredibly difficult. There is a part of me that is overwhelmed by it all. 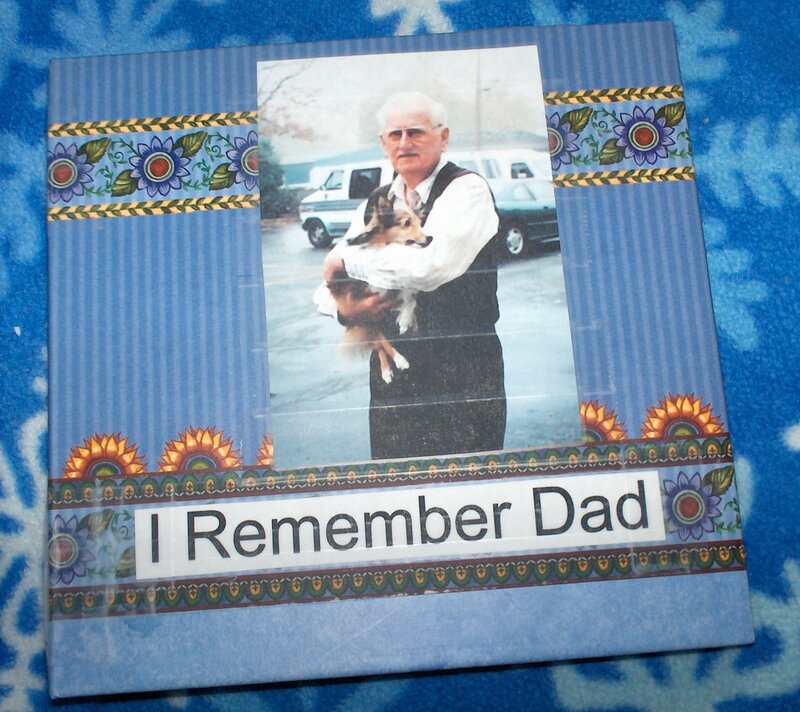 I worked on my book, “I Remember Dad” today. Specifically the chapter about Dad’s stay at Hickam Air Field during World War II. It’s all a long story. But right now I have 80 pages written about things that Dad told me about what it was like, being at Hickam Air Field during the war. Dad kneeling atop the wing of a P-51 Mustang Fighter Plane at Hickam Air Field. I have to condense this particular chapter. Entire chunks of the story line need to be taken out. It all boils down to the economics of book publishing. Right now my book is typed on eight and a half by 11 inch margins. My book will have margins of six by nine inches. I will only be allowed to print 200 pages. It’s all pure economics. 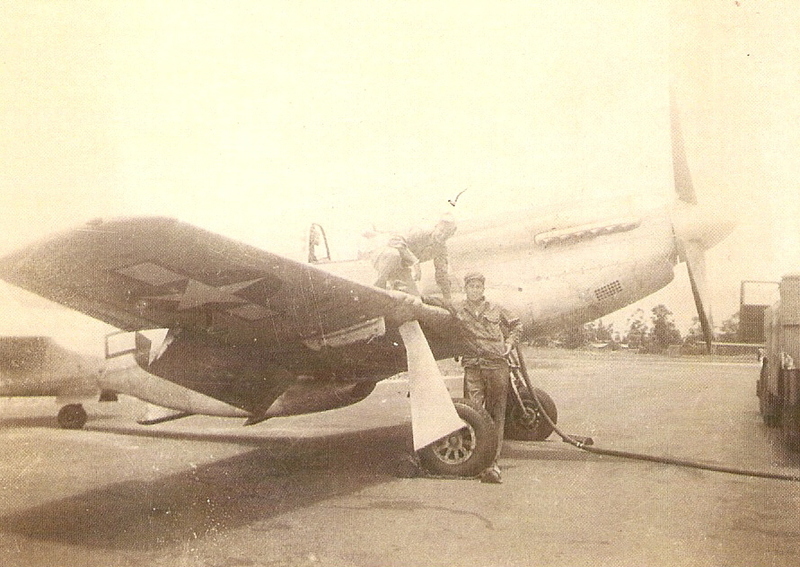 My original plan was to begin my book, “I Remember Dad,” with Dad’s saga of his stay at Hickam Air Field. Not to be boring with details, but my plan is to print 200 hard cover copies of my book, in a six by nine inch size. With each book being 200 pages in length. The bottom line price for the printing, when all the dust is settled, will be four thousand clams. It’s a lot of bread, at least for me. So, I need for this book to shine like a glowing diamond. 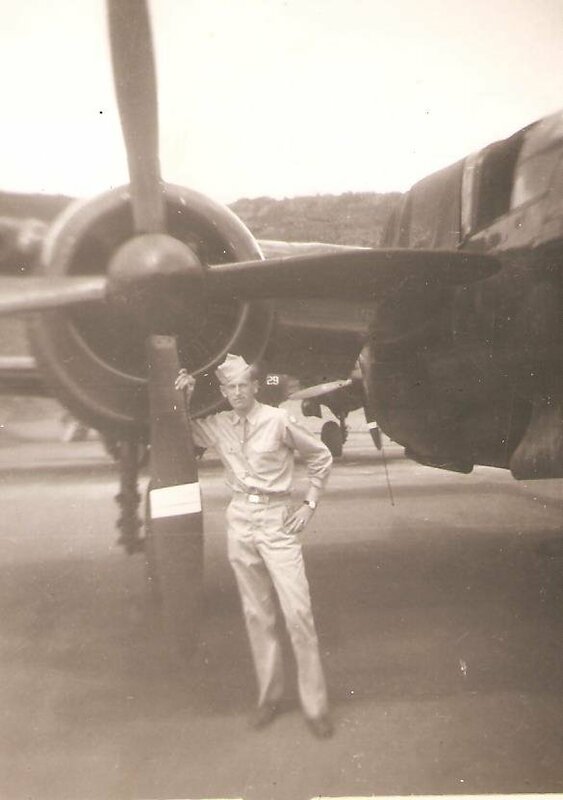 Dad standing next to the propeller of a B-25 Bomber Plane. Again, at Hickam Air Field. What most people do not know is that the men who were stationed at Hickam Air Field, were always on full alert of the very real possibility of another air attack from the Japanese. As most of you know, Hickam Air Field is right next to Pearl Harbor. Hickam itself suffered horrific damage from the Japanese air attack of December seventh of 1941. 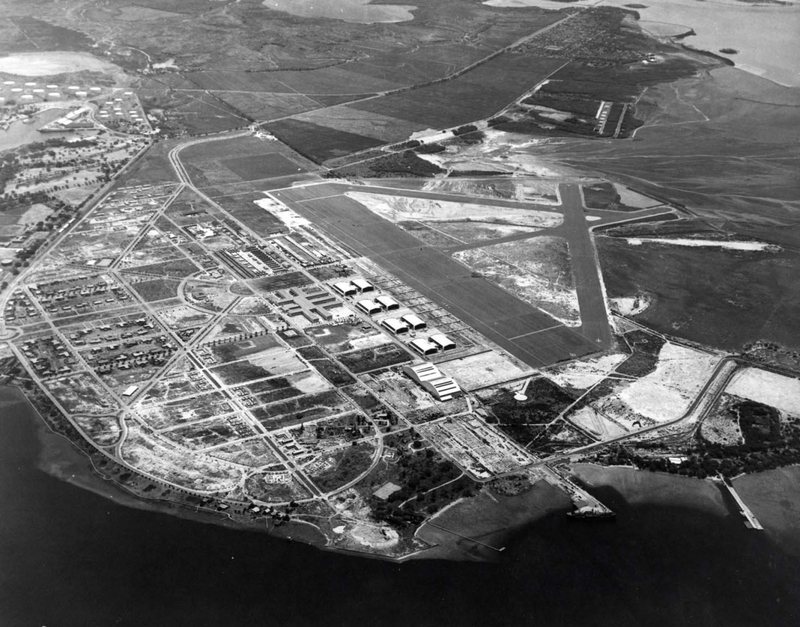 An aerial view of Hickam Air Field during World War II. In my hard work to capture that unyielding tension, that sense of fear, that feeling that today might be one’s last day of living; I may have been guilty of being too voluminous in my narrative. And, now, I must reel it all in. But for me, the big question is, which parts of this chapter stay, and which parts are tossed? It ain’t as easy as it sounds. 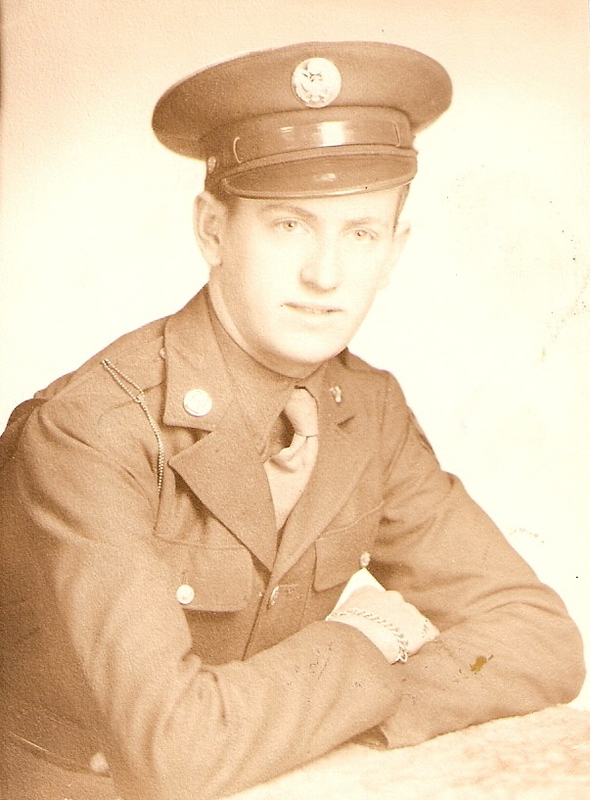 Dad in his Army Air Corps uniform. Today, it all seemed overwhelming. 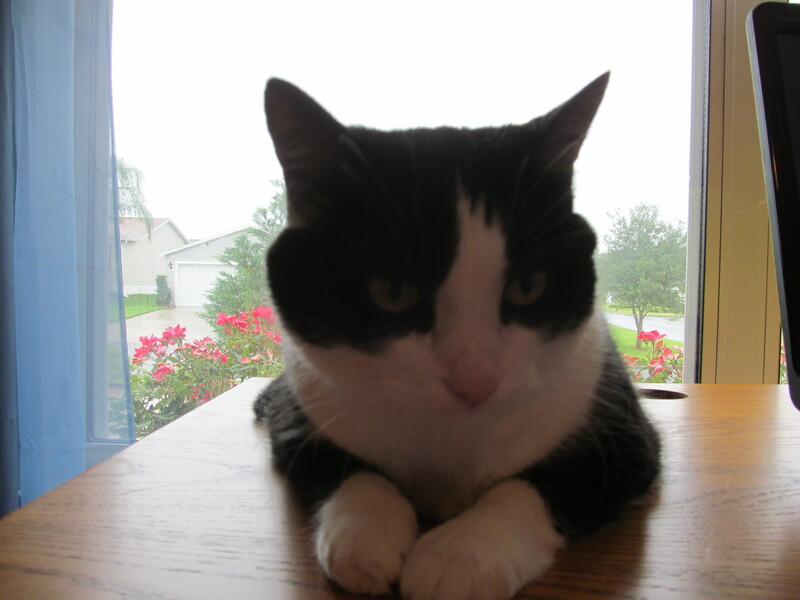 I still am in mourning of the loss of my beloved cat, Figaro. But I am furiously determined to get back on the saddle and get back into the rodeo of writing my book. Tomorrow is Sunday. I generally take Sunday off from writing. But, I think I might get behind the plow tomorrow and chop down the Hickam Air Field chapter in half. I know that Sunday is the day of rest in the Christian faith. Somehow, I think the good Lord will forgive me. Dad on a dock of what may have been part of Pearl Harbor itself. At times grief seems so unbearable. The pain makes it difficult to sleep. Grief is such an incredibly deep pain. 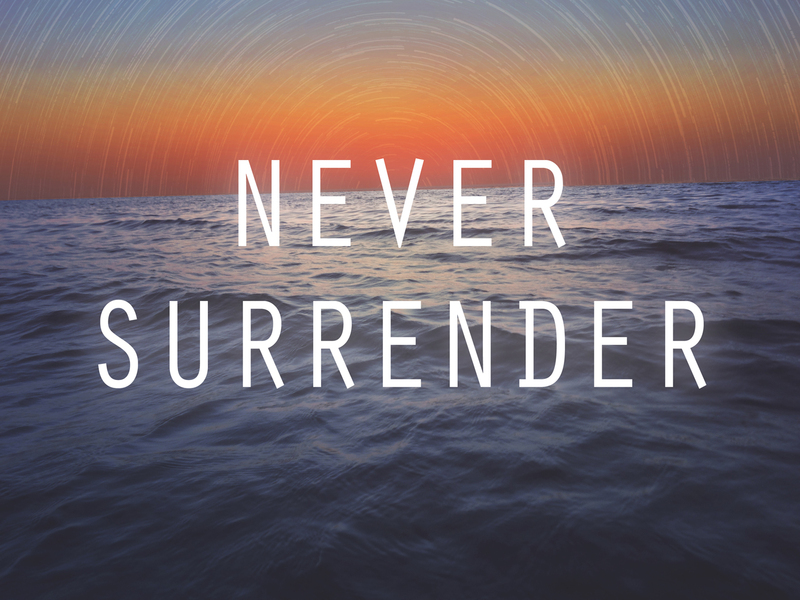 Simply put, at times it feels like you just cannot take one more minute of the pain. 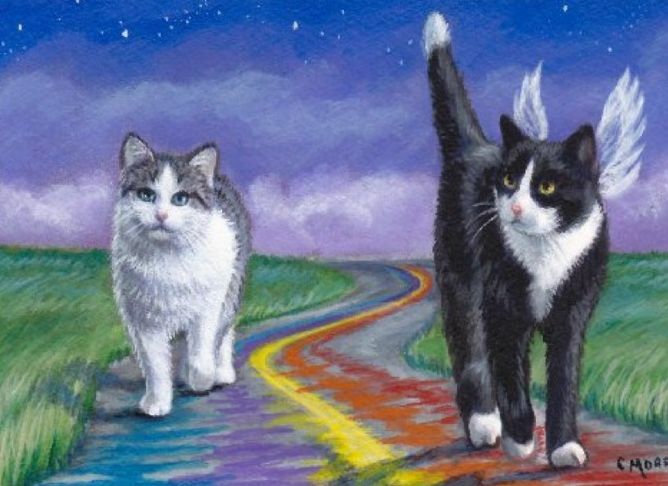 I think that grief is a reflection of the love a person had for another person or for a pet. It is just a tough, tough, tough emotion to get through. Sometimes a grieving heart never heals. It’s just the way it is. I had the day off from work today. 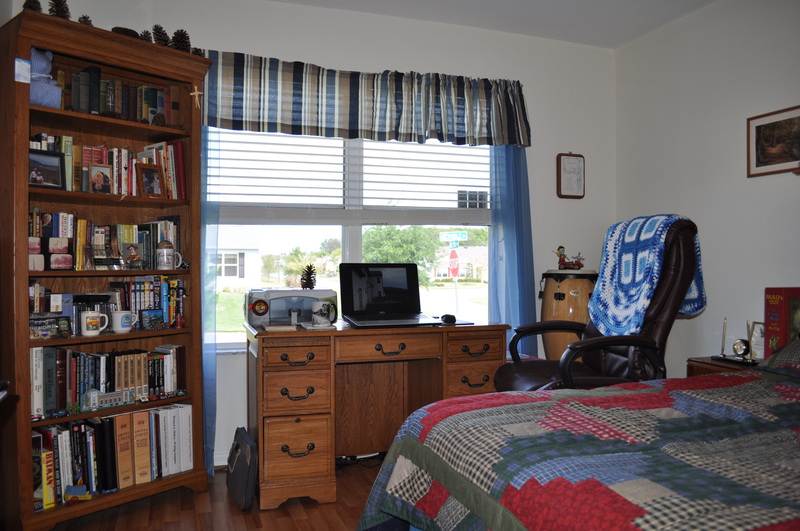 I found myself at my desk today, working on a chapter of my book, “I Remember Dad.” I was doing my utmost best to further condense what I had previously written about my Dad’s experience in World War II at Hickam Air Field. 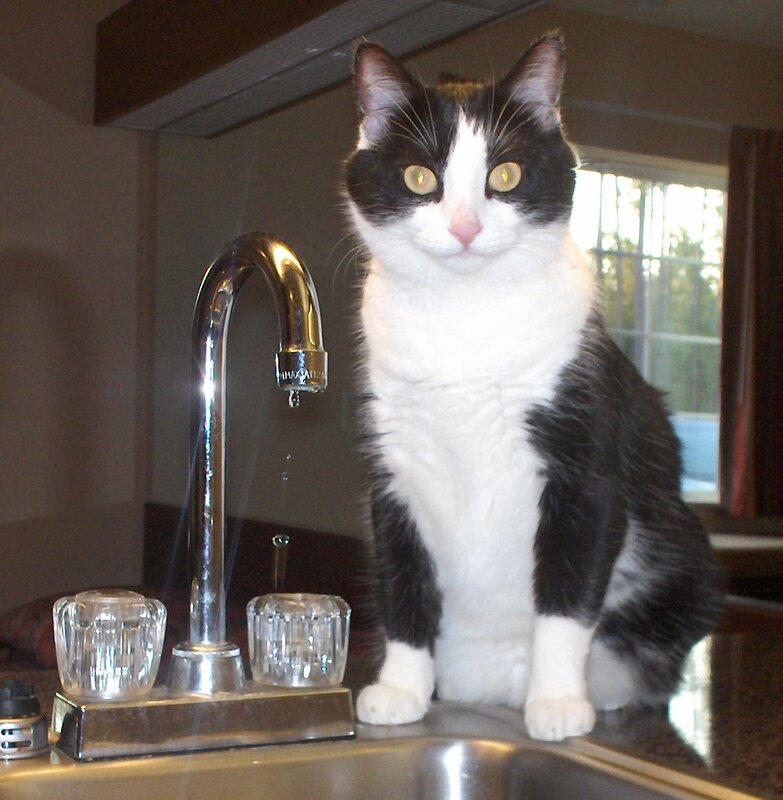 It was about eleven o’clock in the morning and I thought, “yikes, let me check to see if Little Figgy needs fresh water.” I stopped working on my book for a moment, ready to get up to walk to the kitchen area. Then it hit me, Little Figgy is gone. It hit me like a thundering tidal wave. 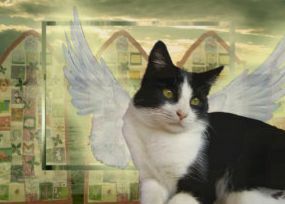 Little Figgy went Home to Rainbow Bridge, this past Monday morning. It’s now Friday evening. 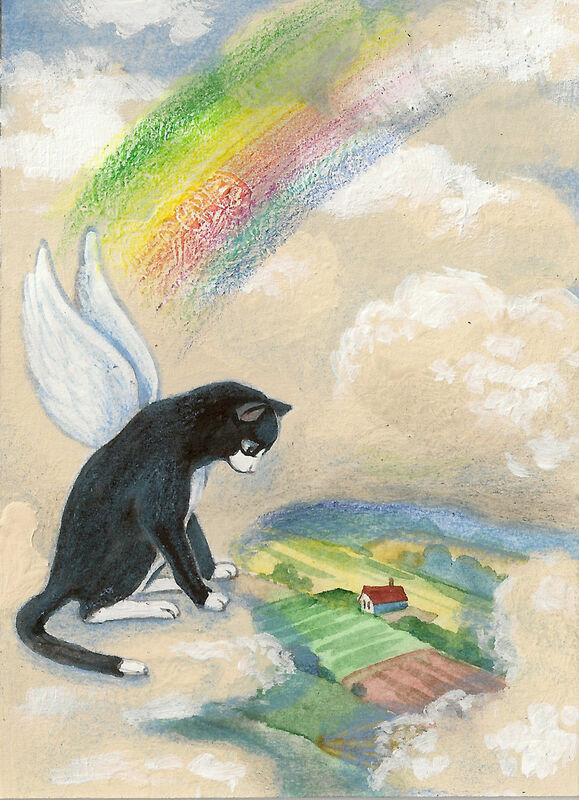 I am still deeply mourning Little Figgy’s passing. I haven’t slept well this week at all. Grief is an incredibly painful emotion. It invades the deepest chambers of your heart. It seeps into the deepest crevices of your mind. There is not escape from the pain of grief, not even in sleep. Little Figgy would sleep at the foot of my bed, on the right hand side. I would fall asleep at night, telling myself to be careful not to move my feet so that I didn’t kick her out of bed. Sometimes, she would rest her head upon my ankles. 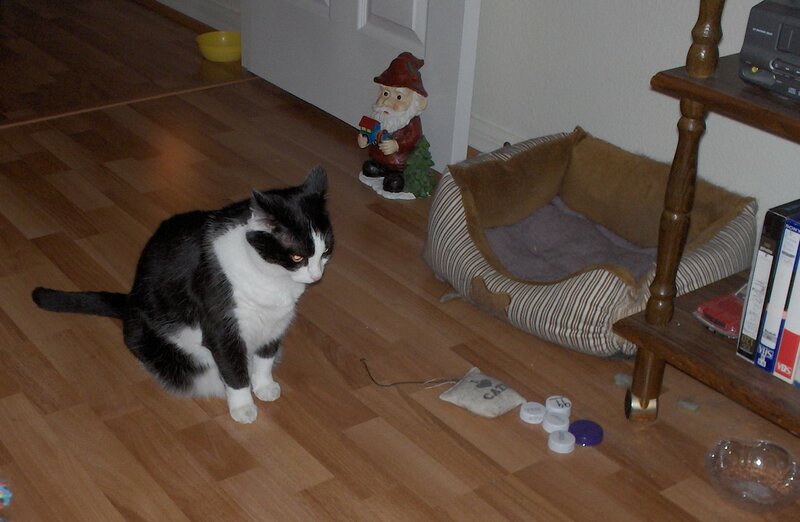 I think what makes it so sad and so painful, is that Little Figgy was such an innocent and trusting little cat. She was so very attached to me. 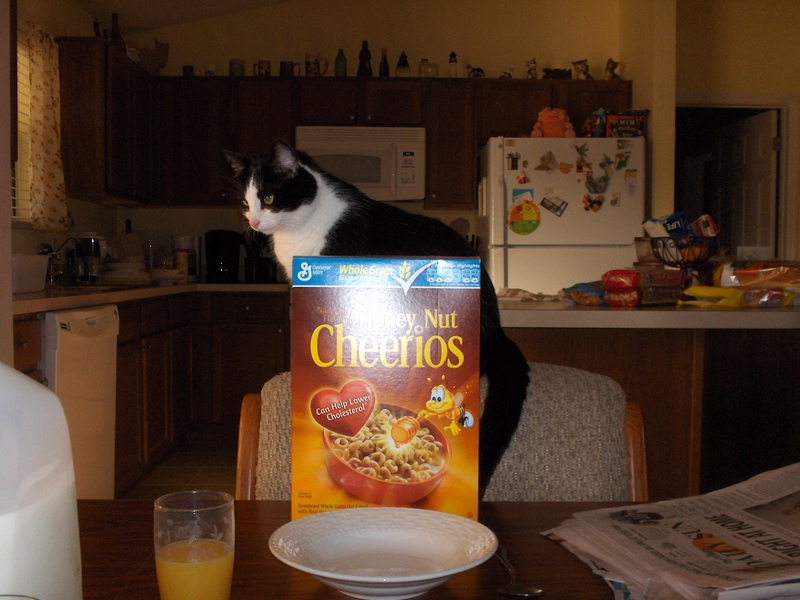 Figgy would follow me around the house, wherever I went. 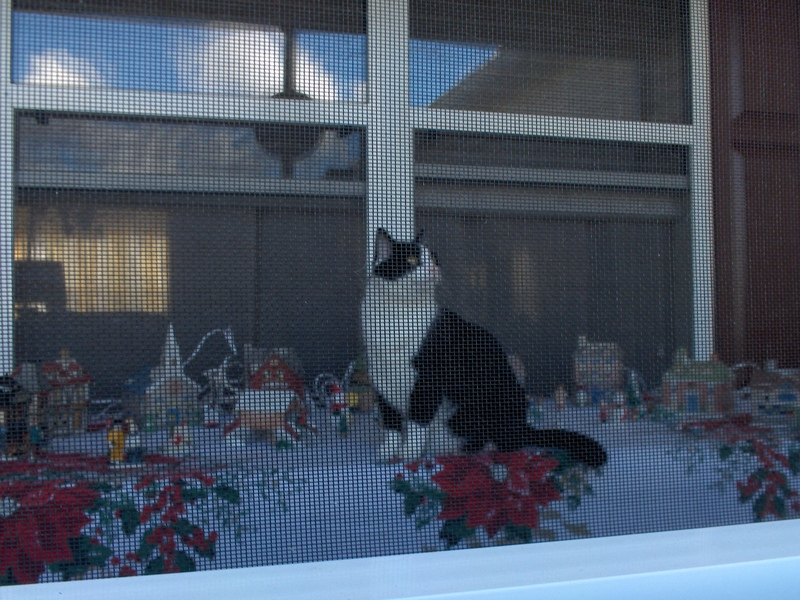 And, when I went outside to do yard work, Little Figgy would jump onto my bed, then jump onto my desk and watch me from the front window. Yesterday, while I was cleaning the bird baths and putting fresh water in them, I looked up at my bedroom window. It seemed so strange not to see Little Figgy watching me. 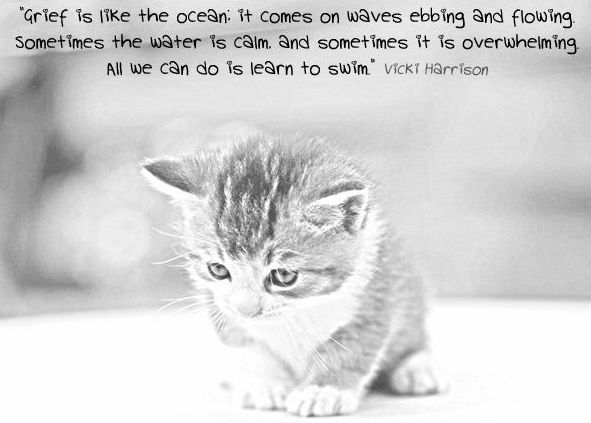 I think that the pain of grief is but a reflection of the love that one had for another living being. 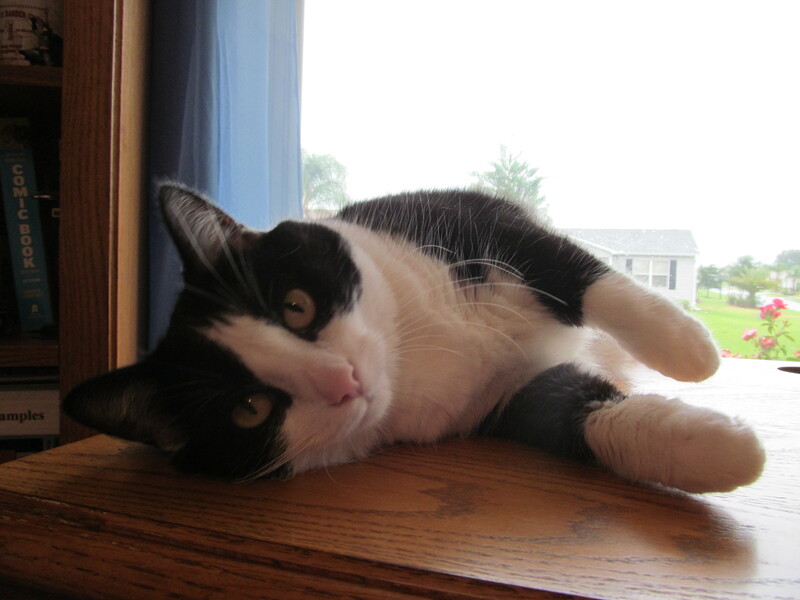 And, if that is true, I know I truly loved that cute, black and white, little fur ball. This past Father’s Day, I experienced a miracle. I am not speaking from some high pulpit, with a strict religious perspective of the definition of the work, miracle. I am speaking from the core center of my heart. And, I know that I experienced a miracle, this past Father’s Day. This past Sunday, about three o’clock in the afternoon, I went to the refrigerator to get a glass of wonderful green tea, no sugar added, iced tea. As I grabbed the pitcher from the refrigerator shelf, I noticed that dear, sweet Figaro was sitting there by the refrigerator’s side, in front of the stove. This was one of her favorite places to relax in the afternoon, because there is a little rug there in front of the oven. As I poured my glass of iced tea, I saw Little Figgy roll over on her back and then outstretch both of her front legs to me, as if to say, “pick me up, Daddy.” So I put the pitcher of green tea, iced tea on the kitchen counter and leaned over and picked up the precious, cute little fur ball. I held Little Figgy, as I often did, as if she was a little baby. Her head rested in the nook of my right elbow. I firmly held her lower back with my left hand and forearm. Figgy looked up to me and meowed. Then she lifted her right front paw, with claws held within her paws, and gently touched my right cheek. Then, she looked at me for a moment and then gently tapped my right cheek three times, as if to say, “I love you.” They were three distinct taps, in four/four time. Clearly; one tap, split second rest, second tap, split second rest, then the third tap. I looked into Little Figgy’s eyes and sadly I could see that she was in pain. It broke my heart. I knew deep in my heart, her earthly life was soon to come to a close. That night dear, sweet Little Figgy had some kind of attack. It was about three o’clock in the morning. She shuttered and went into a kind of convulsion and was having difficult breathing. I knew it was only a matter of hours. 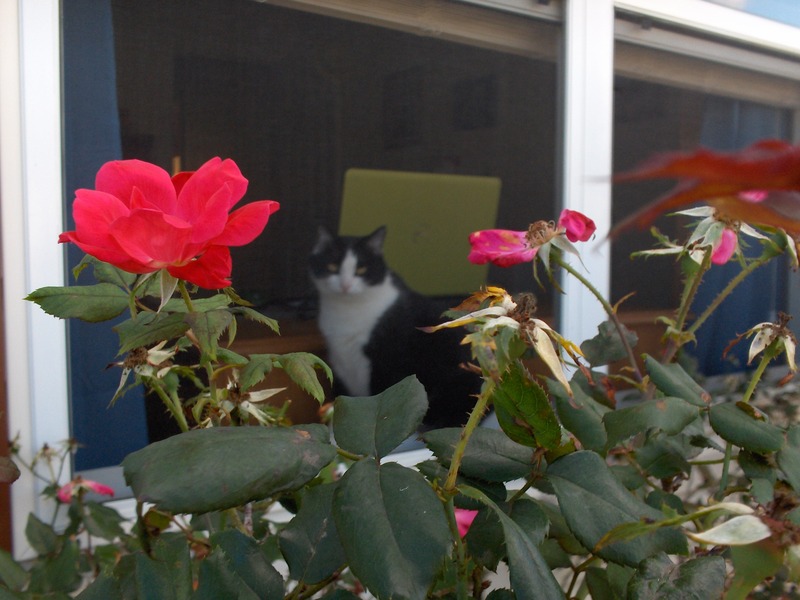 At about eight o’clock, Monday morning, my sister Patti called the veterinarian’s office. Patti explained what had happened to Little Figgy during the night. The young woman at the veterinarian’s office set up an emergency appointment for nine o’clock. My sister drove the van as I held Little Figgy on the way to the doctor’s office. Poor Little Figgy was having a hard time breathing. I tried my best to breathe into the dear kitten’s nostrils. But it did little good. 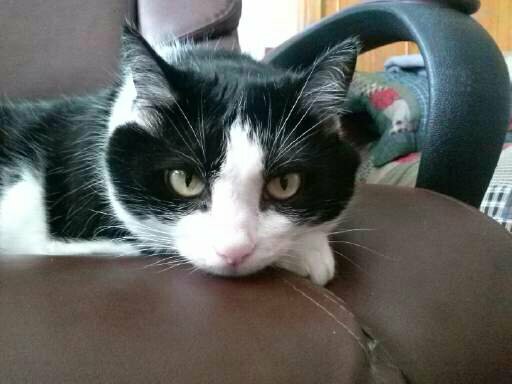 The drive time from my house to the veterinarian’s office is about 45 minutes. The whole time we rode there, I held Little Figgy, cradled like a little baby. The whole time I was holding Little Figgy, she kept focused, looking at me. As I looked Little Figgy in the eye, in between times of trying to breathe into her little nostrils, I talked to her to hopefully comfort her. I told her that I loved her. I told her that she would be going to a beautiful place and that she would once again see her special friends, Foxy and Lady Bug. Little Figgy quietly meowed to me when I told her that. 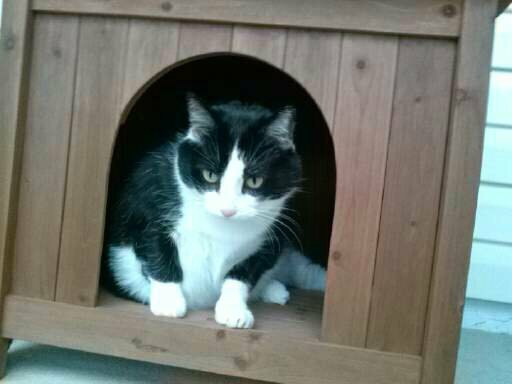 When we got to the veterinarian’s office I cried my eyes out, saying goodbye to my dear little friend as she breathed in her last breaths. I deeply mourn her passing. I loved that little cat so very much. 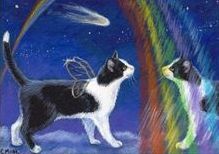 I pray that there really is a Rainbow Bridge. I pray that in some way, some fashion that there is an after life and that I will once again see Little Figgy. Sometimes, life is tough. 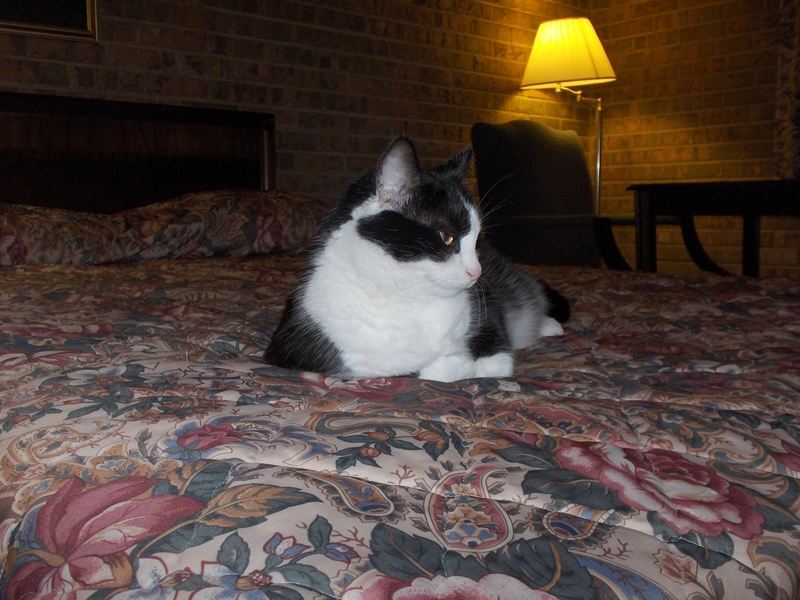 Little Figaro went Home to Rainbow Bridge this morning. Little Figgy was born on the first of September of 2005. She was about two months shy of her thirteenth birthday. 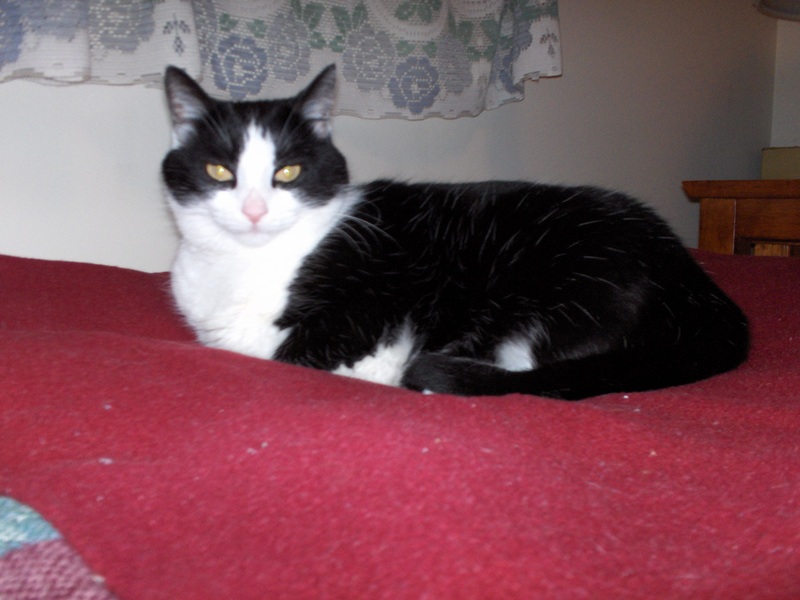 We got Little Figgy in November of 2005, from a young couple in Central Pennsylvania who had turned their home into a rescue sanctuary for a lot of cats and dogs. Little Figgy had been found in an old garage that had been closed up for some time. The old farmer who found Figgy in the closed garage had no idea how she got in there in the first place. But she was skin and bones. The dear old farmer knew of this couple who rescued dogs and cats and had a reputation of bringing ones who were in poor health, up to par. 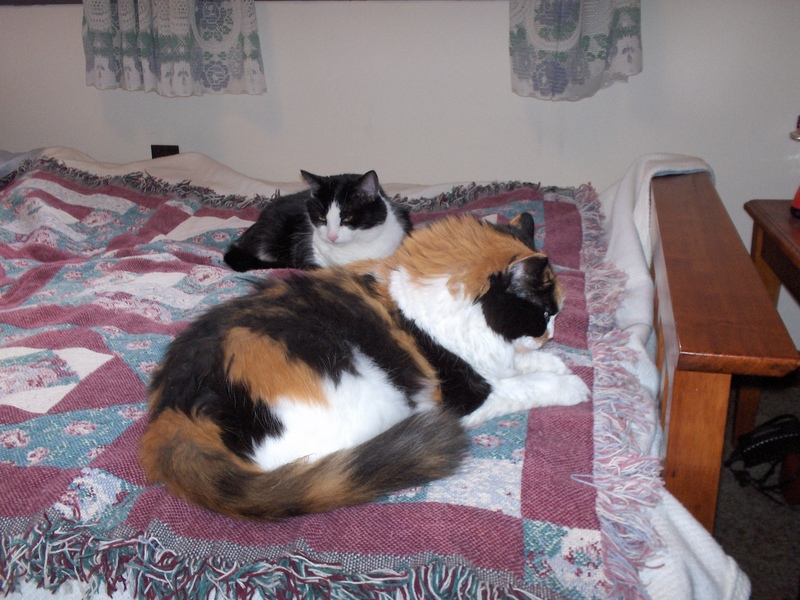 When my sister, Patti, and I went to visit this couple, we had all intentions of just getting one cat. My sister fell in love with Lady Bug. The couple had given her another name, but my sister changed her name in just a few days after we got her. That same afternoon, I saw Little Figgy on the couple’s kitchen floor, in an open box that had some blankets in it for bedding. 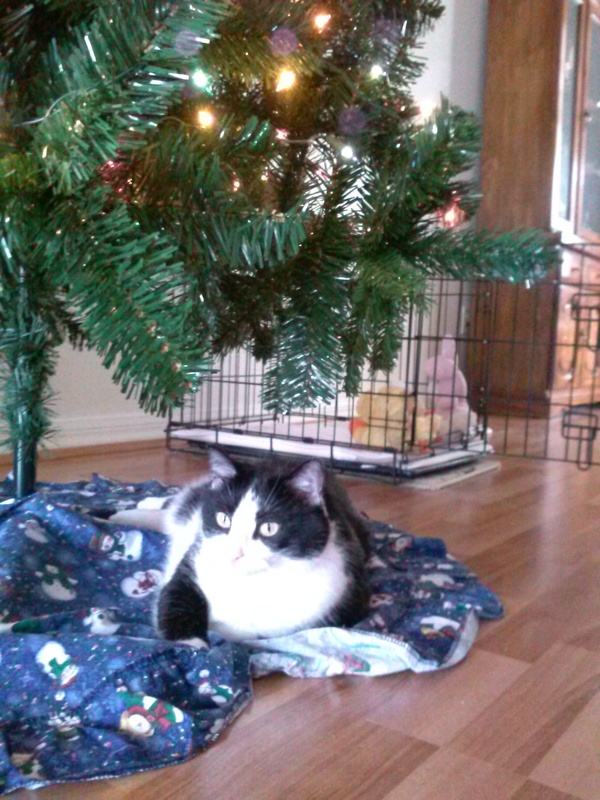 I remember how Little Figgy looked up to me and meowed. 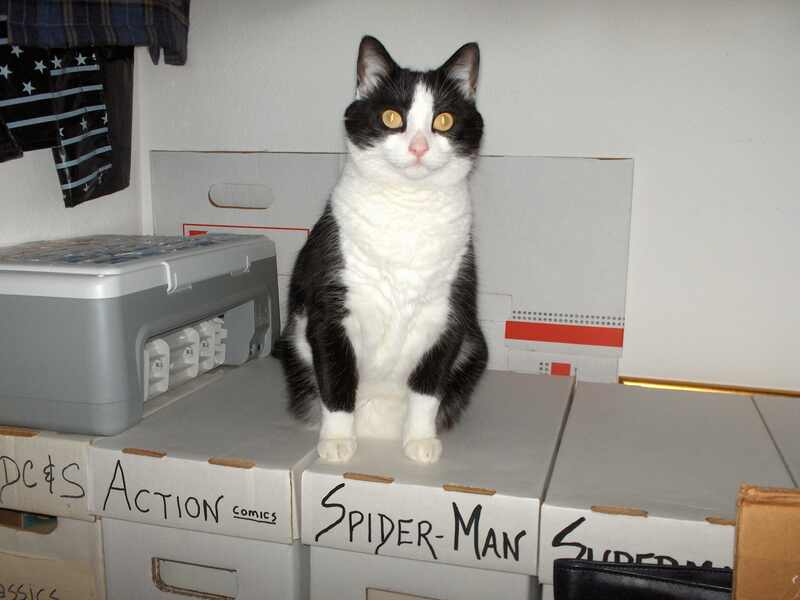 From that moment, I just fell in love with this little tuxedo cat. She was still quite emaciated. Her ribs were still showing in her fur. The humanitarian couple had given Little Figgy another name. I just cannot remember what it was. 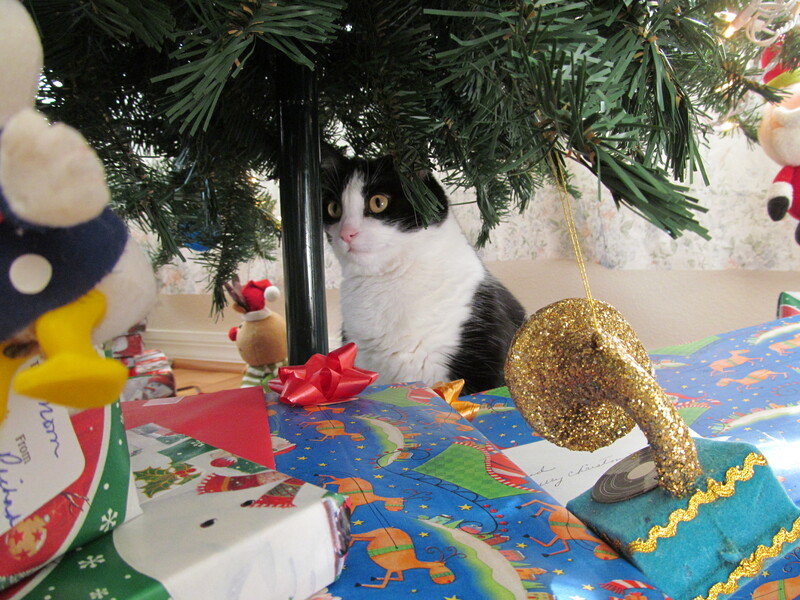 I don’t know what it was, but I just could not put Little Figgy back in that cardboard box. 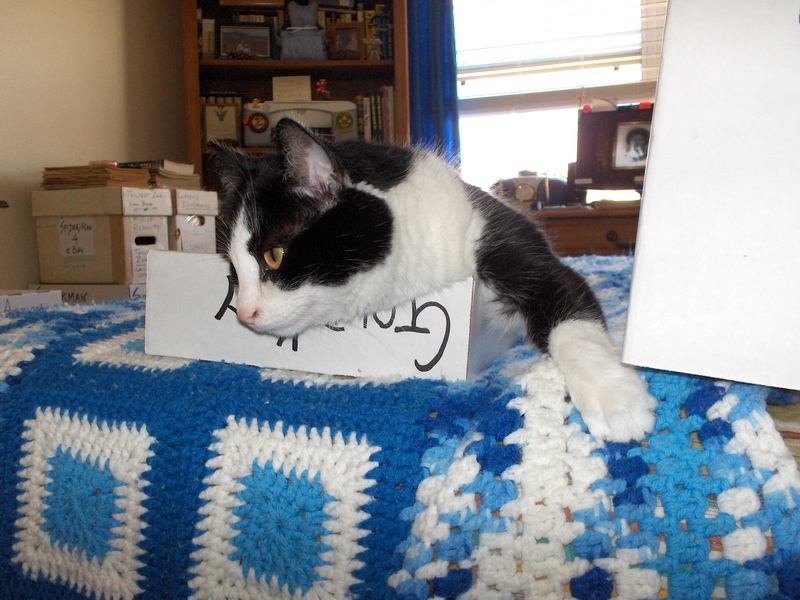 I’m not saying that I just didn’t want to put Little Figgy back in that cardboard box. I know how strange this may sound, but I could not bend my knees. It was as if my knees were locked. I’m very serious about this. I know how strange this sounds. 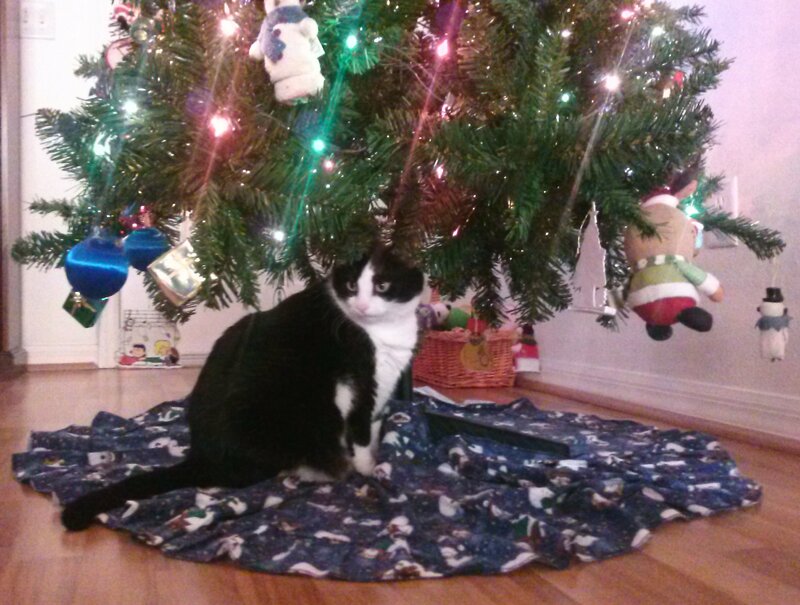 My sister, Patti, saw how Little Figgy was acting. 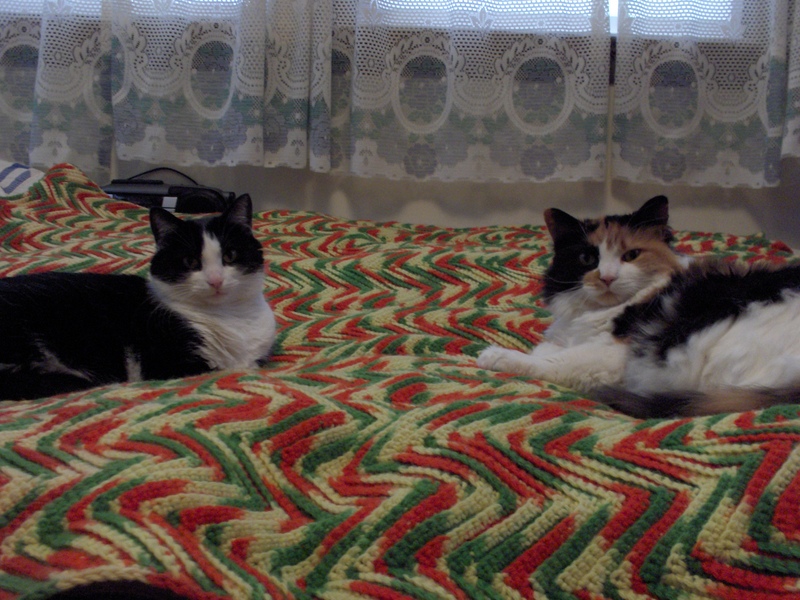 So, my sister spoke up and asked the kind couple if we could take both cats home with us. 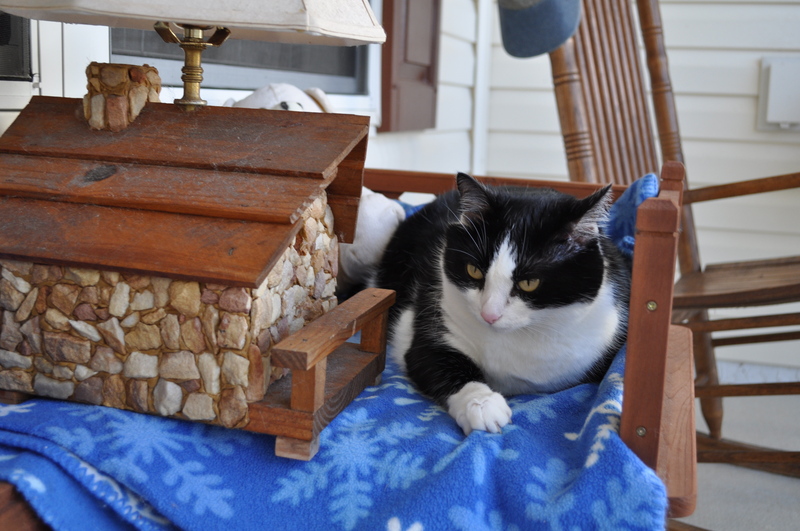 My sister and I took both, Lady Bug and Little Figgy, home with us that cold, November day, over 12 years ago. It was the start of my wonderful friendship with Little Figgy. I realize now, thinking about dear, sweet Little Figgy. 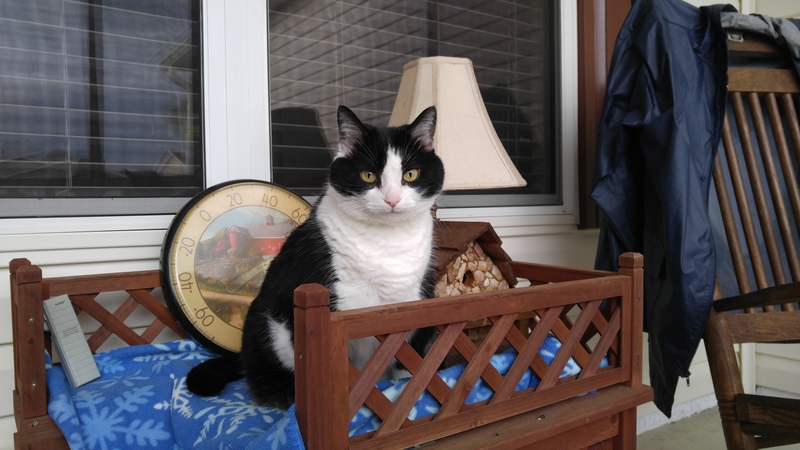 I didn’t adopt Little Figgy. Truly, she adopted me. I miss her very much. It’s going to be very hard to carry on, without her. 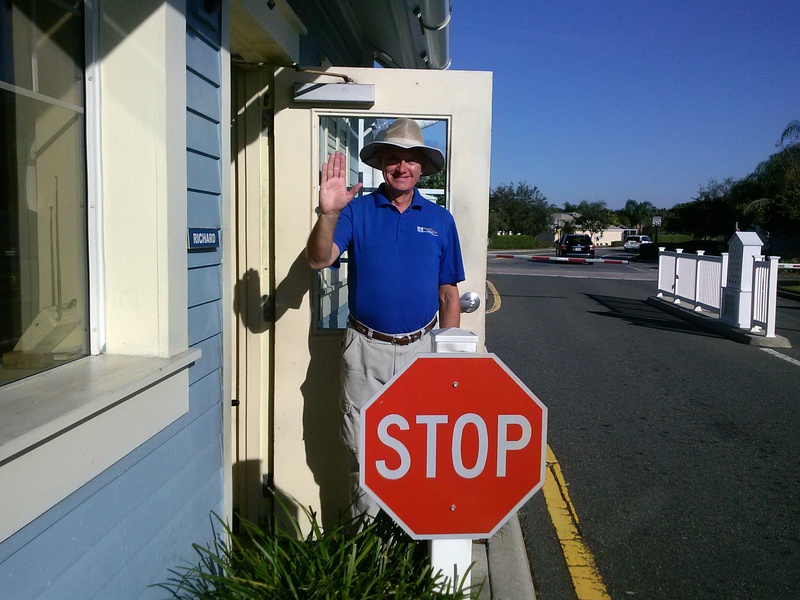 Working as a humble Gate Guard, in a gated community in Central Florida, is not as easy as most people think it is. My life has changed so very much, from even the lifestyle that I knew five years ago. 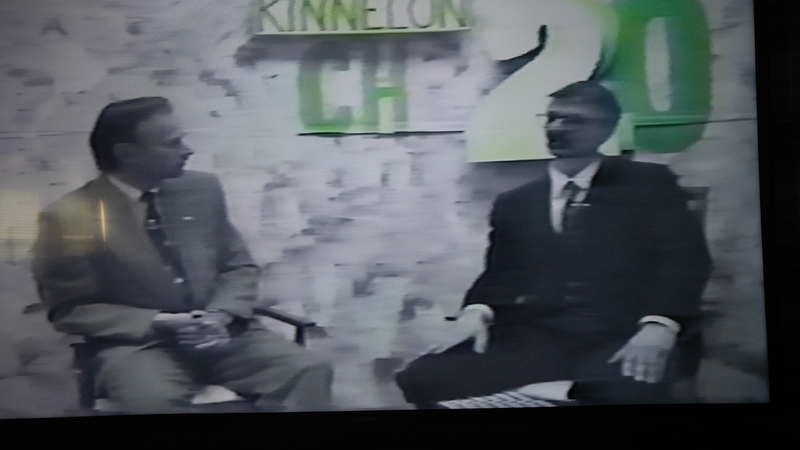 There was a time when I hosted a state-wide talk show that was featured on the Cable Television Network of New Jersey. I once taught Creative Writing classes at a small college in New Jersey. 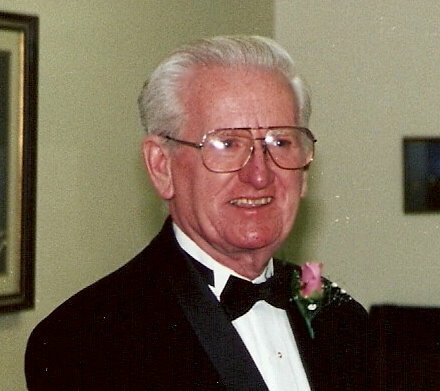 As a younger man, I wrote for at least a half-dozen newspapers. For well over 10 years, I wrote for the public relations department of a large telecommunications company, which was based in Morristown, New Jersey. And, for a little over five years, I worked as a copy writer for an ad agency. Sadly, that’s all behind me now. I am presently working as a humble Gate Guard, doing my utmost best to get my book published. 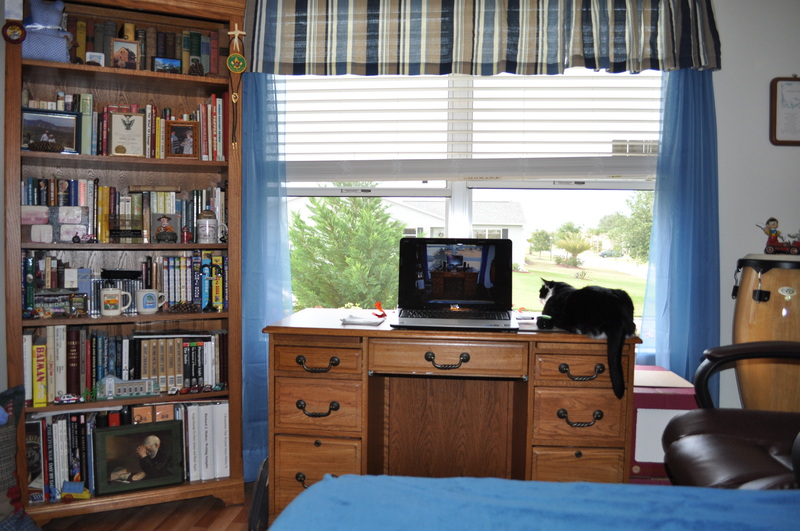 My desk in my bedroom, in my Florida home, where I do my level best to write and work on my book, at least three hours a day. Lately, I have been working a lot of hours as a Gate Guard, working the graveyard shift. It is an eerie, haunting, Twilight Zone experience to say the least. There is the quiet of the night. The loneliness. The whirl of the wind at midnight. The cadence of the clock, continuously ticking in the Gate House. It’s not all that easy to be a Gate Guard in a gated community in Central Florida. If truth be told, a lot of people are very rude to me. And, a significant number of the people, freely curse at me, each and every night. 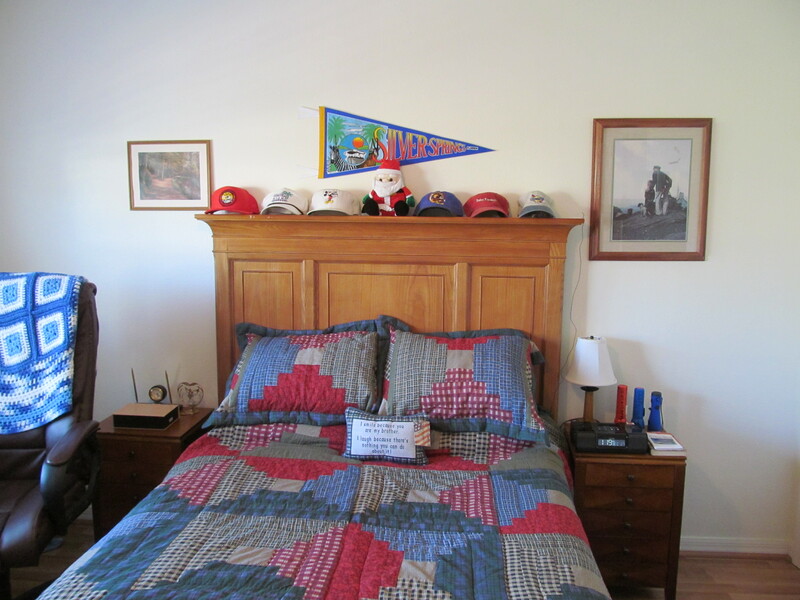 My bedroom is my place of solace, my escape from the insanity of working as a humble Gate Guard. When I come home, from working the graveyard shift, I am exhausted beyond exhausted. My bedroom is my solace, my comfort, my escape from dealing with so many of the rude residents and visitors that pass by my Gate House, each and every night. I end up sleeping for a while, when I first get home. Then I write, rewrite, and then rewrite scenes and chapters of my book. Writing is hard work. Most people do not realize how much hard work goes into good writing. The eerie, haunting quality of working the graveyard shift, is practically impossible to put into words. Then, after writing for about three hours or so, I try to get a little more sleep, before eating supper and then traveling off to my lonely Gate House, to do the Gate Guard routine once again, for yet another night. Some people have suggested to me, to simply give up on my dream to get my book published. Those negative remarks only fuel the flame in my heart to greater heights of determination. For myself, failure is not an option. In September, I’ll be 65. It’s not that easy to get old in America. I’m not going to get into politics here. It’s just not that easy, growing old in America. I’m as red, white and blue as the next chap. But the plain, ordinary truth is that it’s not easy to grow old in America. Still, I keep on trucking. I’ve got a lot of bulldog in me. I tend to have this quiet, shy side to me. But within my heart, a flame burns brightly to climb the mountain of success in life. For, alas, there is a lot of bulldog in my heart, mind and soul. 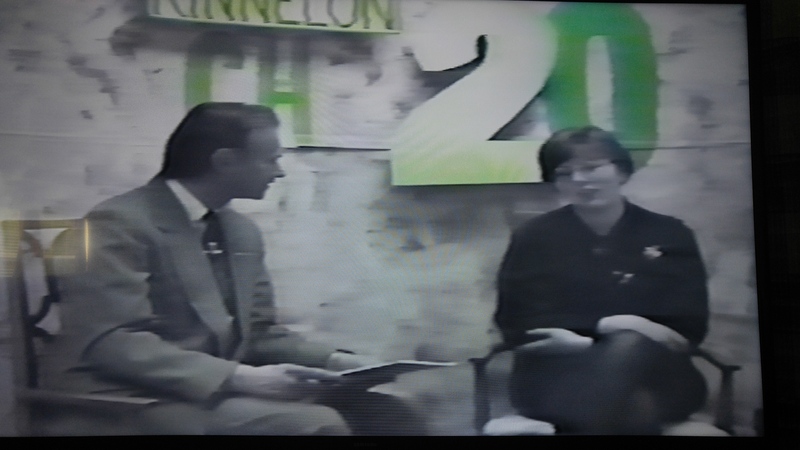 The Writers’ Circle was a weekly television talk show that was shown on Kinnelon, New Jersey’s Channel 20. The show ran for about two years from 1997 to 1999. 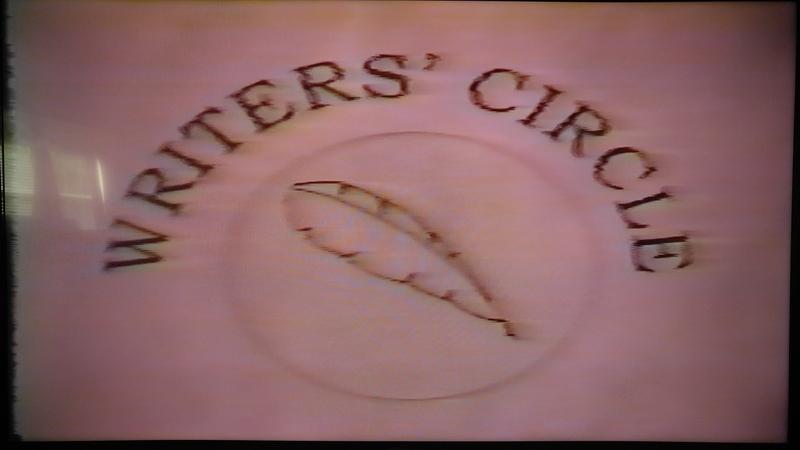 Today I watched some of the episodes of the old Writers’ Circle television talk show. I had not watched the tapes from this show in about 15 years. It seemed funny to go back in time and watch the show, once again. 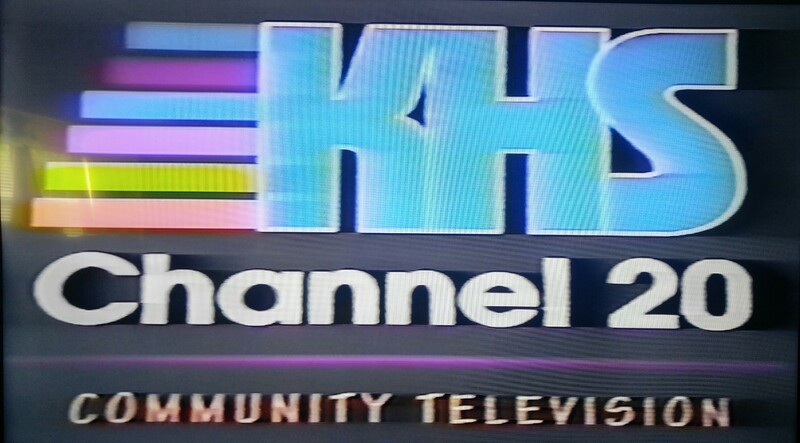 The Writers’s Circle was shown weekly on KHS-20 Community Television, based in Kinnelon, New Jersey. 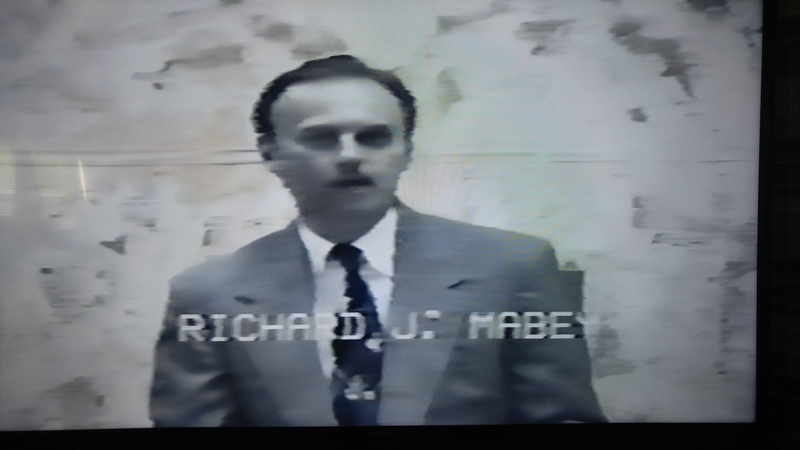 I began production of the Writers’ Circle in 1997 after having produced and hosted the Cable Television Network talk show show, Cross-Talk, for five full years. Watching the tapes today, reminded me of just how hard I worked on WC. It was such an incredible labor of love. The actually began dreaming up the concept of WC, about a year before Cross-Talk finished production, when the Cable Television Network of New Jersey closed their doors and went out of business. WC was an exciting, new start for me, to say the least. Producing, editing and hosting The Writers’ Circle was a labor of love. I put many hours into the planning, production and editing process of each and every show. I put an incredible amount of time, labor and love into WC. I did all the editing of all the shows produced. I was solely responsible for lining up guests for the show. 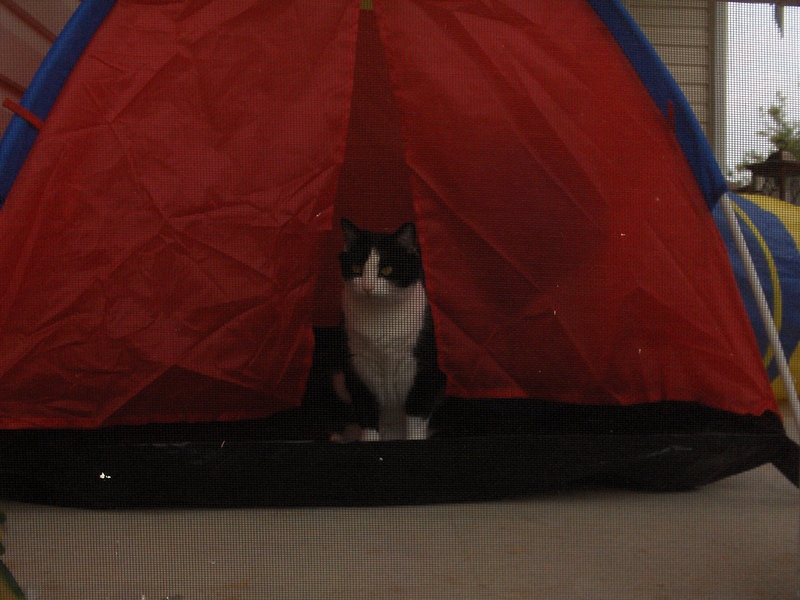 And, last but not least, I hosted the show. I learned a lot from it all. It forced me to grow and evolve as a journalist and a television talk show host. It was like learning how to swim by being thrown into the deep end of the swimming pool. I remember that on some of the shows, I would put up my post office box address on the closing credits. To my surprise, I did receive a considerable amount of favorable letters. 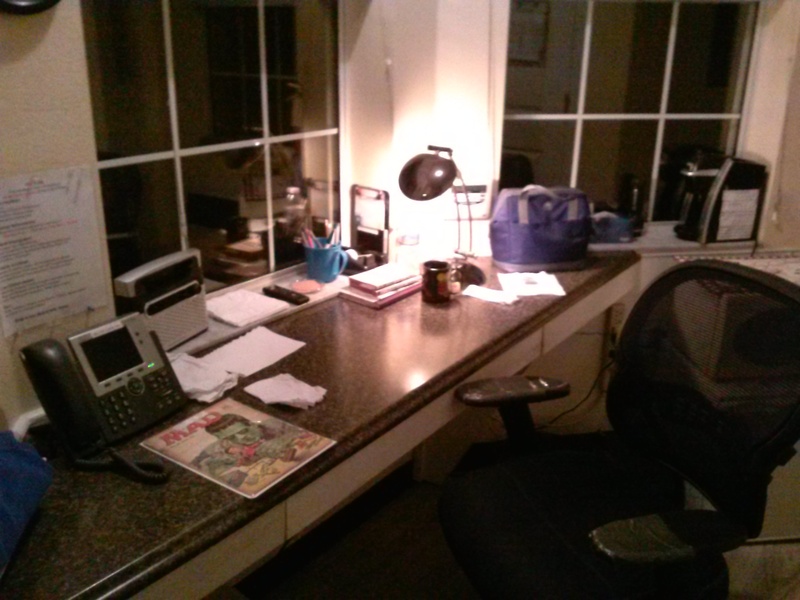 The Writers’ Circle would feature an interview, each week, with a local up and coming local writer from northern New Jersey. It’s not easy to produce, edit and host a weekly television talk show and hold down a full time job at the same time. It was at the dawn of Year 2000 that I landed an editing and copy writing job at an ad agency in northern New Jersey. My new job at the ad agency required a lot of late hours. The strain was too much and I said farewell to the Writers’ Circle project. Something that I still regret to this day. Looking back, I realize how blessed and fortunate that I was to have such great guests on the Writers’ Circle. The true success of the show was in the insight and intelligence of the show’s many different guests. Looking back, I know that a big success of the WC television show was in the incredible guests that I was fortunate to have on the show. Most of them were up and coming local writers, who made their home in northern New Jersey. If truth be told, I learned so very much from having the golden opportunity to interview so many incredibly gifted writers. Something that I still cherish to this day.